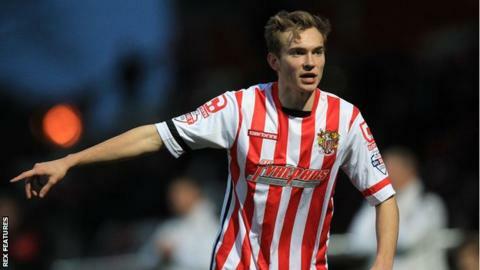 Swansea City forward Ryan Hedges has extended his loan spell at League Two side Stevenage for a further month. The Wales Under-21 international has made five appearances for Boro since joining on transfer deadline day. The 20-year-old has never played for Swansea's first team, but made 17 appearances on loan at Leyton Orient last season. Meanwhile, striker Patrick Hoban, 24, has returned to Oxford upon the expiry of his one-month loan. Hoban only made one appearance for Stevenage - in a 1-0 defeat by Crawley on 6 February.